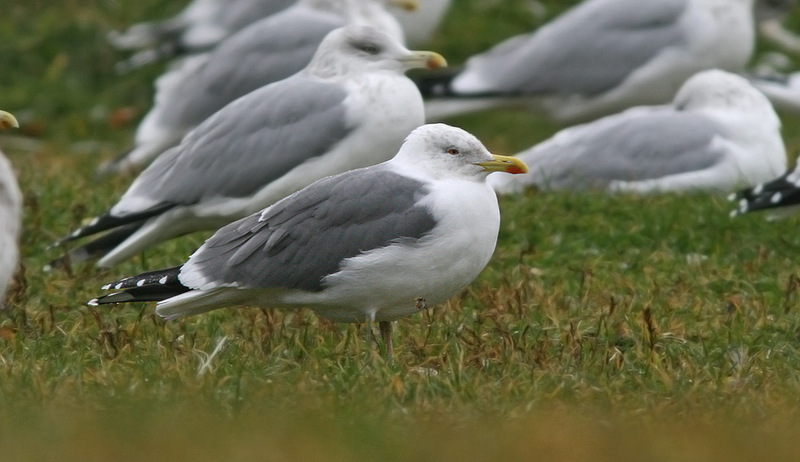 Yellow-legged Gulls are incredibly rare anywhere in North America, but are recorded annually in St. John's. This one was photographed in early December, 2010. Origins: Occurs in the eastern Atlantic/Mediterranean. It is thought by many that individuals recorded in Newfoundland likely originate in the Azores, with several characteristics fitting the race common to that area. Details: At least one Yellow-legged Gull has wintered in St. John’s annually since the late 1990’s, often being found between late August and April. The only confirmed record from outside St. John’s was at Portugal Cove South in July.